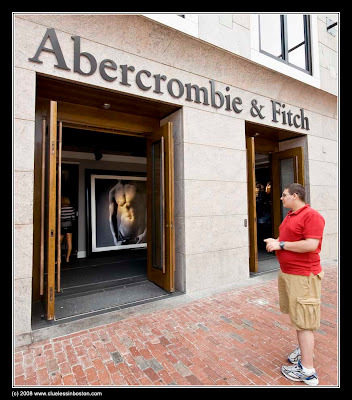 This week's doorway is Abercrombie & Fitch (A&F) at Fanueil Hall. 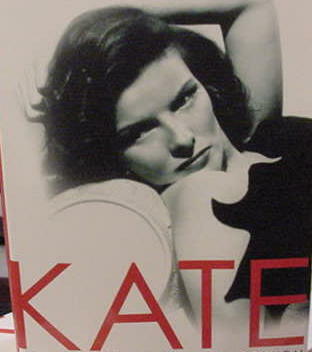 Its stores are primarily in the U.S., Canada, and the U.K. Though founded in 1892 and originally a "guns and fishing rods" type company, it is now an American lifestyle brand company that markets youth apparel with very edgy advertising. That is a nice photo. The man in the picture just reinforces the store name brand. I never have figured out what the main draw to A&F is...perhaps it's my age! He looks like he is trying to decide if he goes in and shops if he might come out looking like the guy in the ad OR like me... if he goes in will he find anything in his size?? I like the AF store fronts- great doors!